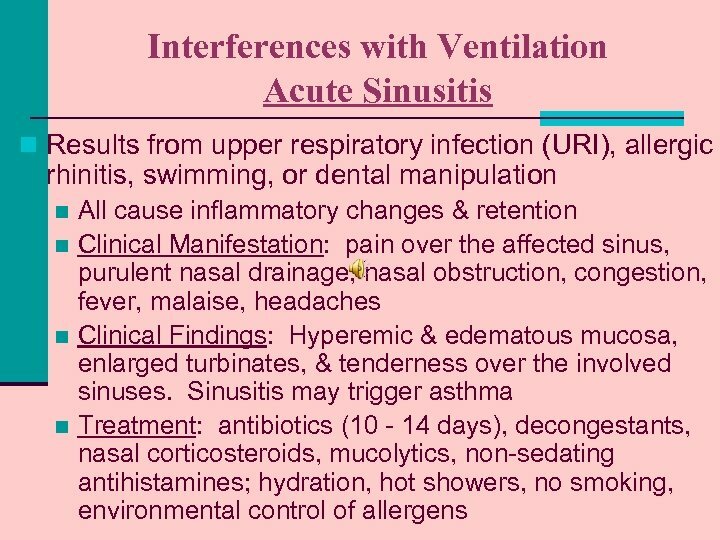 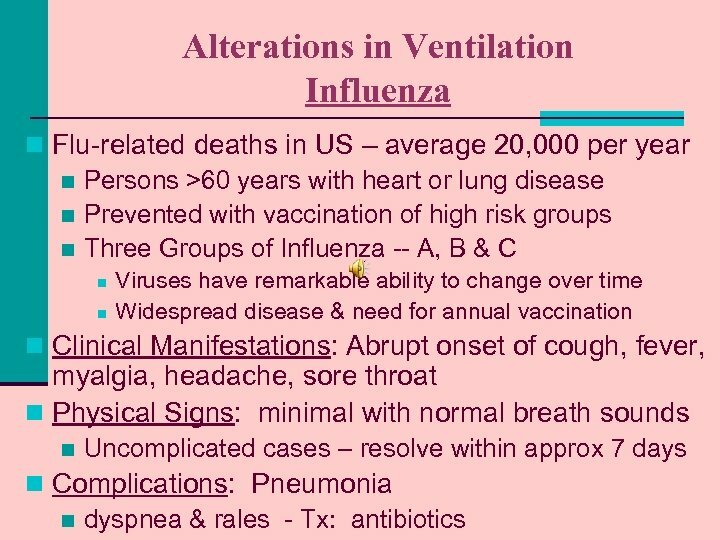 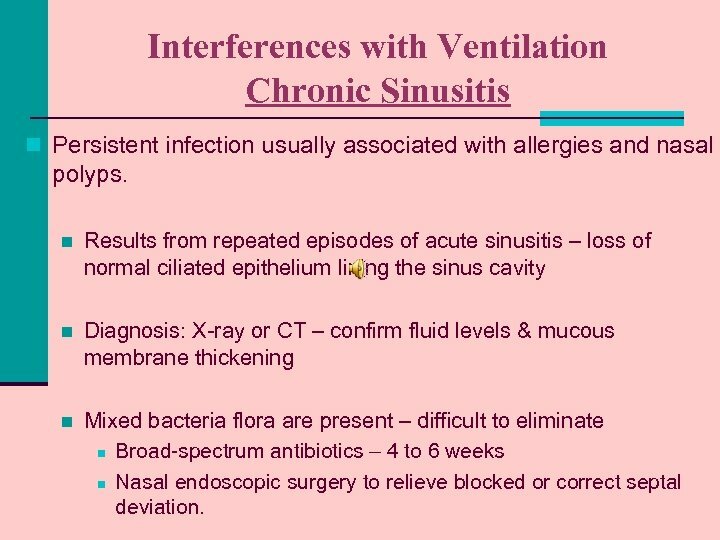 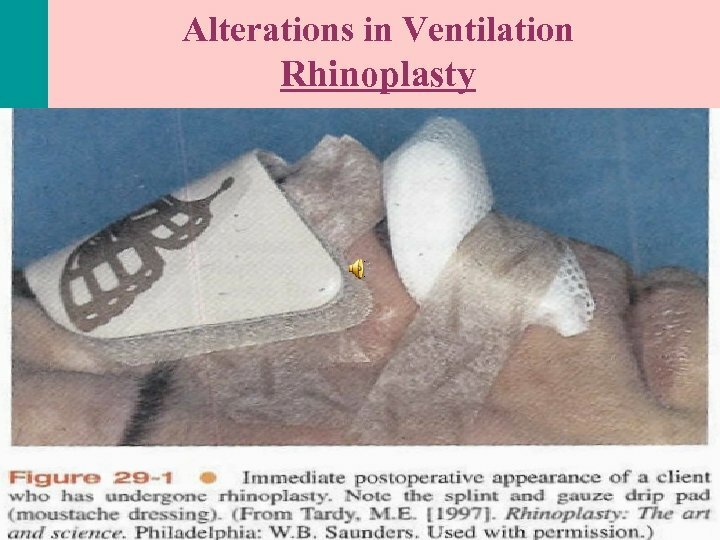 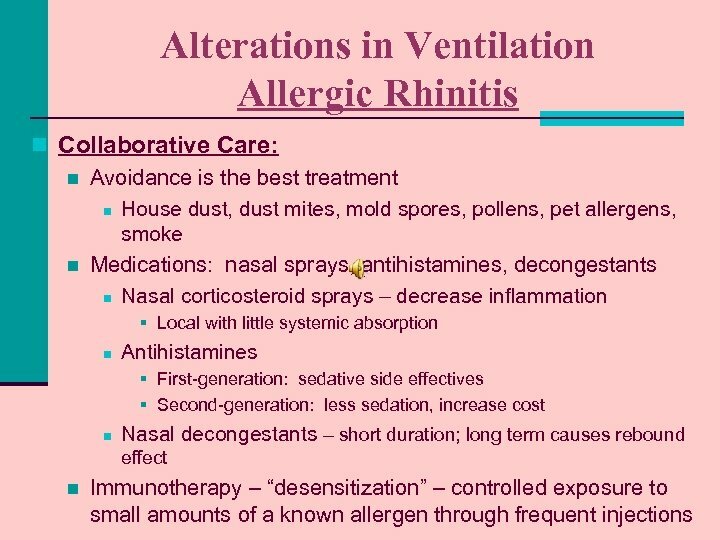 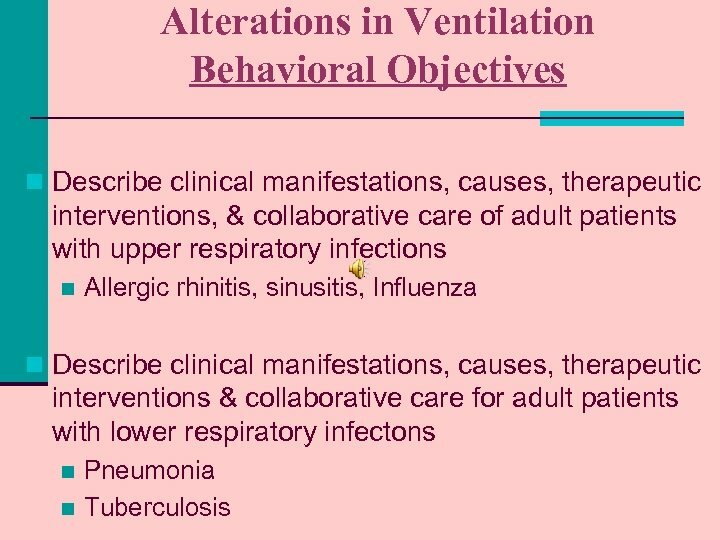 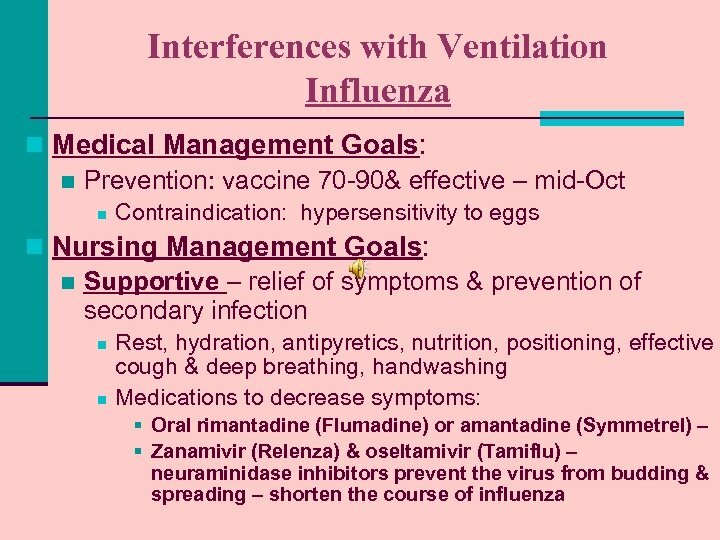 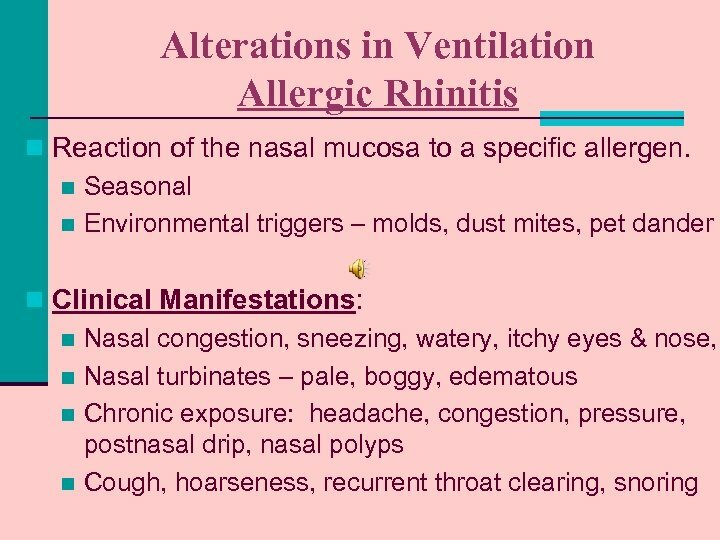 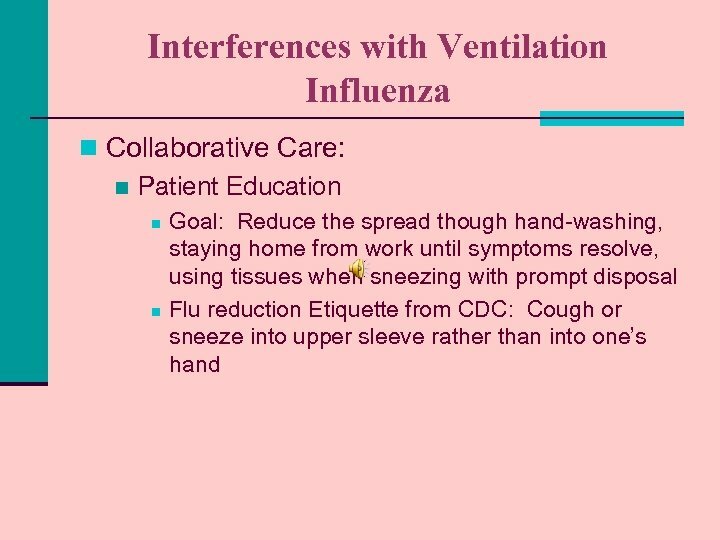 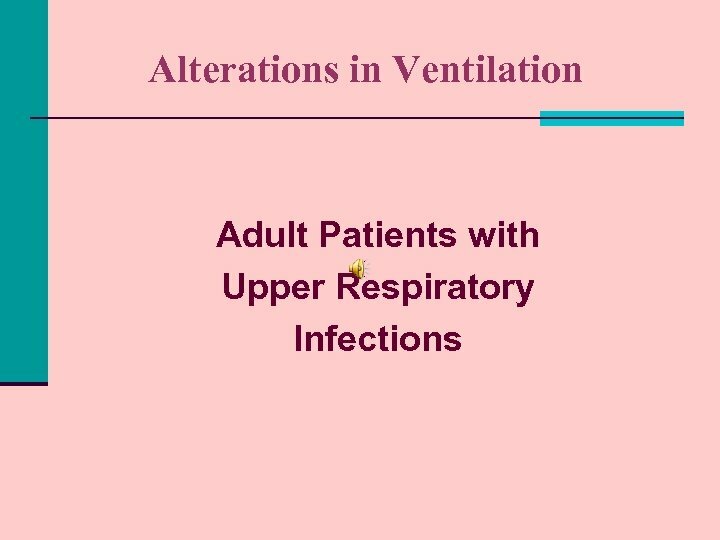 Interferences with Ventilation Chronic Sinusitis n Persistent infection usually associated with allergies and nasal polyps. 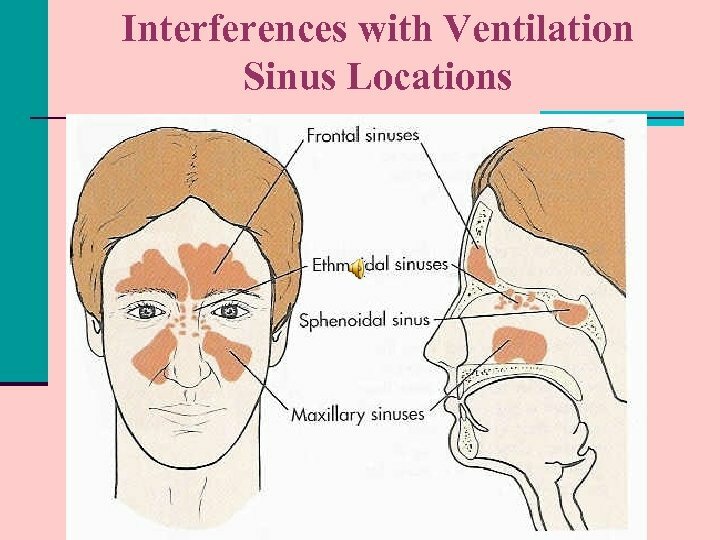 n Results from repeated episodes of acute sinusitis – loss of normal ciliated epithelium lining the sinus cavity n Diagnosis: X-ray or CT – confirm fluid levels & mucous membrane thickening n Mixed bacteria flora are present – difficult to eliminate n Broad-spectrum antibiotics – 4 to 6 weeks n Nasal endoscopic surgery to relieve blocked or correct septal deviation. 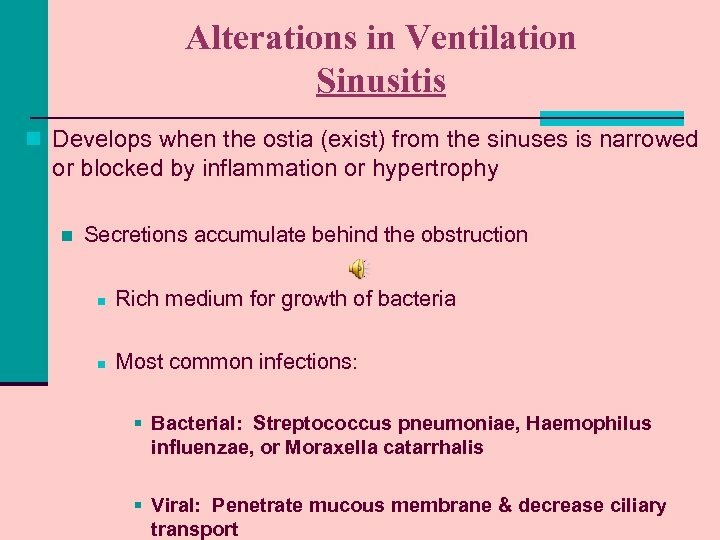 Section 4 Regulation of the Respiration I.